Earlier this month, an aerial bombing in the Afghan city of Kunduz was conducted by the United States. During the bombing raid, a hospital was hit multiple times by US bombs. The bombardment left more than 20 members of staff and patients dead and dozens more injured. Since the raid, the American government has been backpedaling. They changed the “official story” at least four times and have been scrambling to distract you from the truth. One consistent part of the official narrative has been that the US did not know that they were bombing a hospital. However, a breaking report by the AP suggests that this was a lie. New information suggests the US deliberately targeted the Kunduz hospital, killing 22 patients and staff, despite knowing it was a protected medical site. 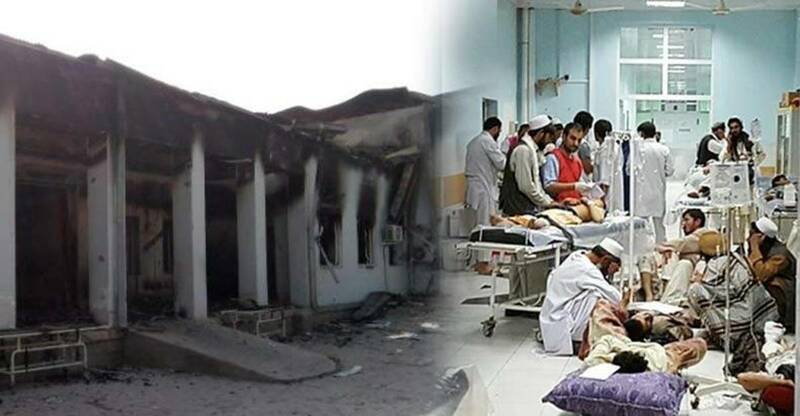 US special operations analysts investigated the hospital for days prior to the deadly October 3 attack, describing the hospital as a base of operations for a Pakistani agent coordinating Taliban activities, AP has learned from a former intelligence official familiar with the documents. The site, operated by Doctors Without Borders (Medecins sans frontieres, MSF), was attacked five times in the span of an hour by a C-130 gunship, despite repeated please by the MSF to US forces. MSF official described repeated strafing runs against the main hospital building, which housed the emergency room and the intensive care unit. No surrounding buildings were hit, they say. How many innocent men, women, and children must die before the United States can declare a victory on the war on terror? A hundred, a thousand, a million, ten million? What number will be enough to satisfy the blood-thirsty politicians in their perpetual expansion of the military industrial complex?